On Friday, November 13th, we held an open workday at the greenhouse. Students and faculty worked together to tackle several urgent projects. We were so busy that we didn’t take photos during the workday; but captured some after shots. Check out the photos below to see how shiny and clean the greenhouse looks! A huge thank you to students that lent a hand during the workday, especially: World of Plants, Plant Physiology, Ecology of California, and Evolution and Diversity of Plants students. Your hard work made a huge difference! We’d like to keep the workdays going to have at least one per semester. Check back for news of a spring workday. Tall plants, like these palms, were moved to the back of rooms. Benches were shifted; hanging plants were rearranged. The middle aisle was widened in the succulent room. 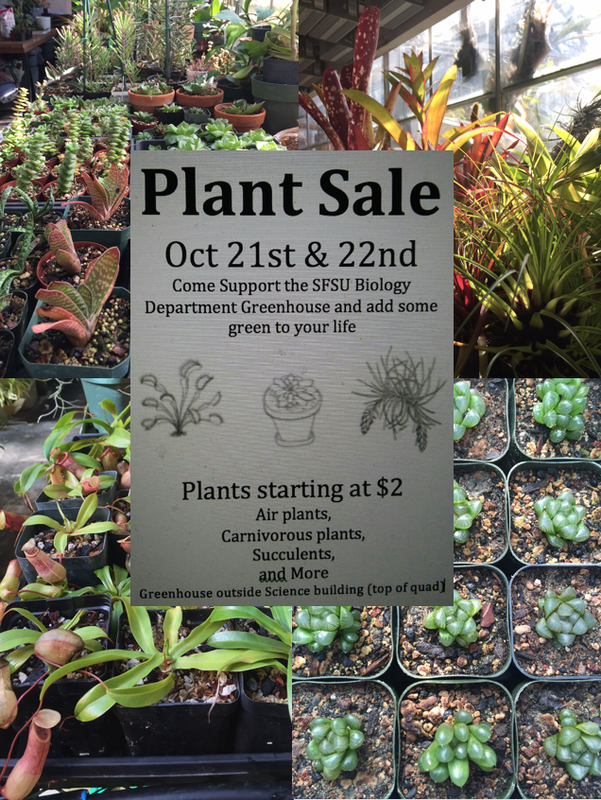 The plant sale is coming up this week, 10/21-10/22. We’ll have our stand out in front of the science greenhouse from 11-6 ! Hope to see you all there ! April 30th, 1-5:30 pm: Meet in the California Mediterranean Garden to wrap up weeding and mulching. We’ll be planting out buckwheat and lilies. May 7th, 1-5:30 pm: Meet in the South America/ Mexico Garden to plant out some sage and catch up on weeding. 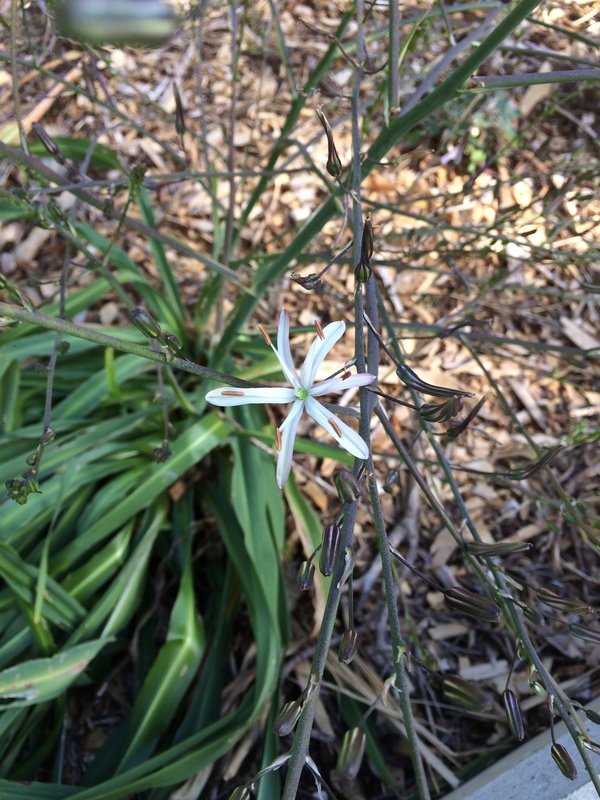 May 14th: 2-5 pm: Meet in the South America/ Mexico garden to help prune and do some light weeding. May 21st: Activities and location TBD! Please RSVP in the comments section. Check out the map below for the meeting location. The South American/ Mexico garden is right next to the California Mediterranean Garden. Come volunteer with us! This Thursday we will continue to plant out buckwheats and weed the small bed adjacent to the plantings. We will be working in the California Mediterranean garden, which is our newest (and weediest) demonstration garden. We’ll have gloves and tools, so bring yourself, water, and sun protection as this area can be very sunny. Leave a comment here to RSVP! Hey Everyone! Welcome to 2015! It’s a brand new year and we are starting off strong with an exciting field trip. 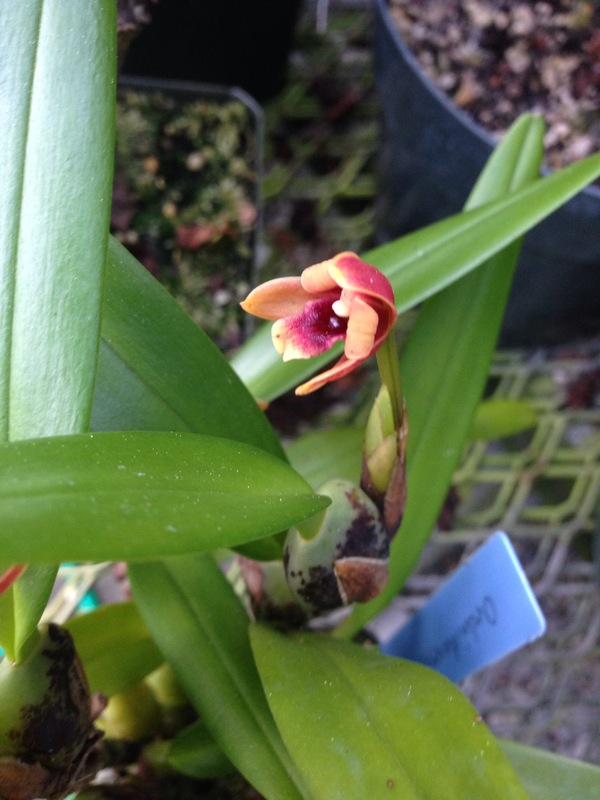 Friends of the Greenhouse is taking a group of students to the Pacific Orchid Expo. We are planning a trip on Friday February 20th. 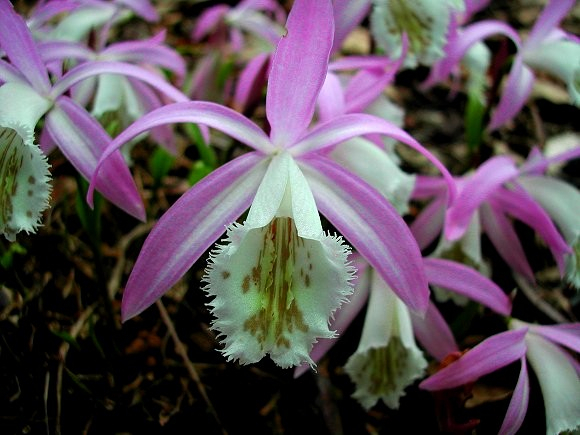 Please get in touch with us here to join our Orchid trek. To whet your appetite here’s this little beauty spotted today in the greenhouse. 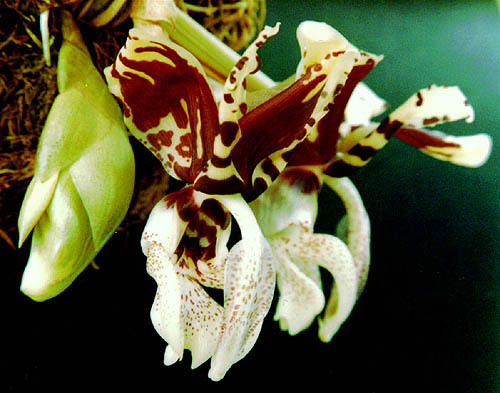 FOTGH will be taking a group of about 12 students to see the Orchid Expo on Friday Feb. 21 at 1 PM. Get in touch with Martin (marhoot@yahoo.com) to reserve space if you would like to go. 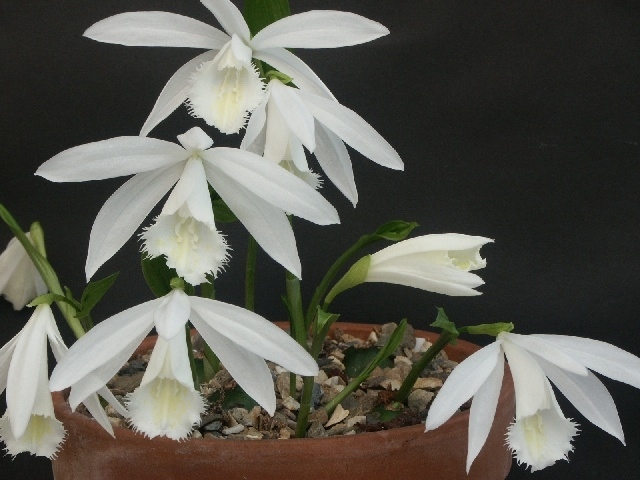 This sale will include Succulents, Bromeliads, Venus Flytraps, Pitcher Plants, and feature easy to grow outdoor Pleione formosana orchids just beginning to flower (in white and pink below).